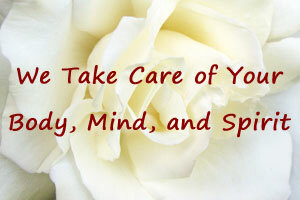 We take care of your body, mind, and spirit. If your daily life has you stressed, then come in and we'll take that stress away. Do you have nagging aches and pains that never seem to go away? We can help you with that as well. Take a look at our services and promotions, make an appointment, and we'll take care of your every need. We hope to see you soon. To make an appointment or inquire about our gift certificates and VIP Packages, give us a call at (580) 351-9999 or stop on by the Oasis. We are easy to find and always looking forward to introducing new clients to a great experience. As always, we welcome back our current customers for yet another great experience. 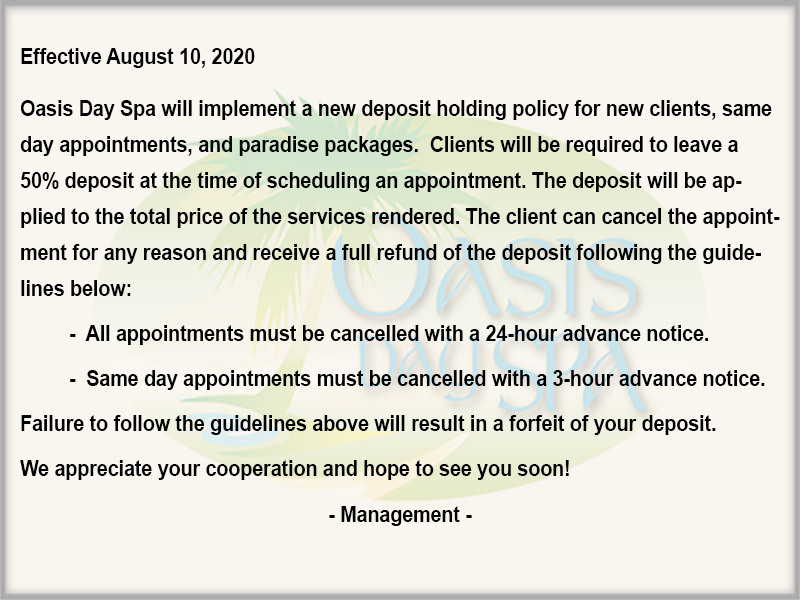 We love to hear from our customers and the experience they've had here at the Oasis Day Spa. If you have a comment on your experience with us and would like it posted on our web site please email us at oasisdayspa@att.net.